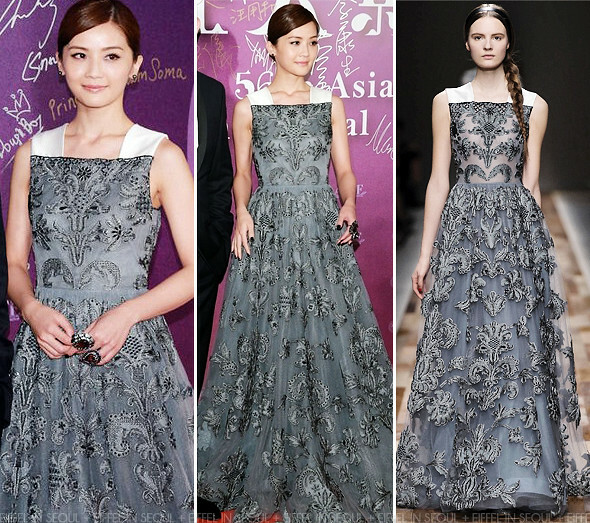 Hong Kong actress and singer, Charlene Choi (蔡卓妍) attended the 56th Asia Pacific Film Festival held on December 14, 2013. The actress wore a second Valentino gown from Fall/Winter 2013 collection for the film festival. Her look was completed with two very large rings. The dress is stunning. However, I don't like the square neck-line on her.